Enticing collectors to purchase special bundles, 2017 Topps Walmart Online Exclusive Baseball offers uniquely themed cards exclusive to the retailer's website. While many releases offer an exclusive option from the particular product purchased, this set goes a step further by giving fans a five-card set using an unrelated design. 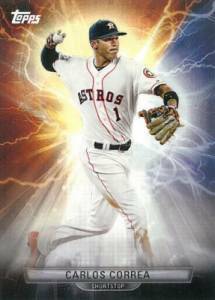 2017 Topps Walmart Online Exclusive Baseball features an all-star lineup of fan favorite players including Buster Posey, Carlos Correa, Clayton Kershaw, Kris Bryant and Miguel Cabrera. Each card has a similar layout, with the player in action seemingly erupting a lightning strike behind him. 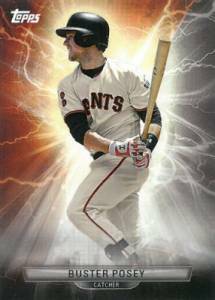 Although the Walmart editions are not officially a Tyson Beck Fire, nor a 2017 Topps Bunt product, the design somewhat resembles a mash-up of both. 2017 Topps Walmart Online Exclusive Baseball is currently available with either 2017 Topps Allen & Ginter Baseball or 2017 Topps Stadium Club Baseball bundle purchase via Wal-Mart.com. Each bundle includes a Value/Blaster Box (8 packs, 5 cards per pack) along with a Fat Pack (12 cards). Since no official announcement for 2017 Topps Walmart Online Exclusive Baseball was made, be sure to check back as we will update with any future images or details. 2017 Topps Walmart Holiday Snowflake Parallel Complete Your Set!! ($0.50 each)!! 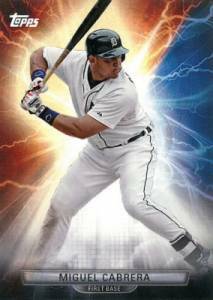 2017 Topps Walmart Exclusive WM-5 MIGUEL CABRERA - Twenty Card Lot! Very Rare! 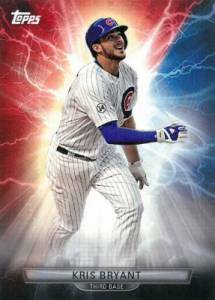 2017 Topps Walmart Exclusive WM-4 Kris Bryant - Twenty Card Lot!!! Very Rare! 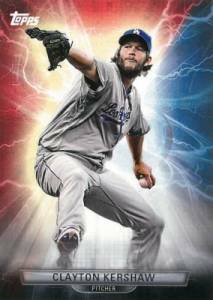 2017 Topps Walmart Exclusive WM-2 CLAYTON KERSHAW - Twenty Card Lot! Very Rare! 5 cards. Buy Exclusive Bundles on Walmart. Buy individual cards on eBay using the links below.